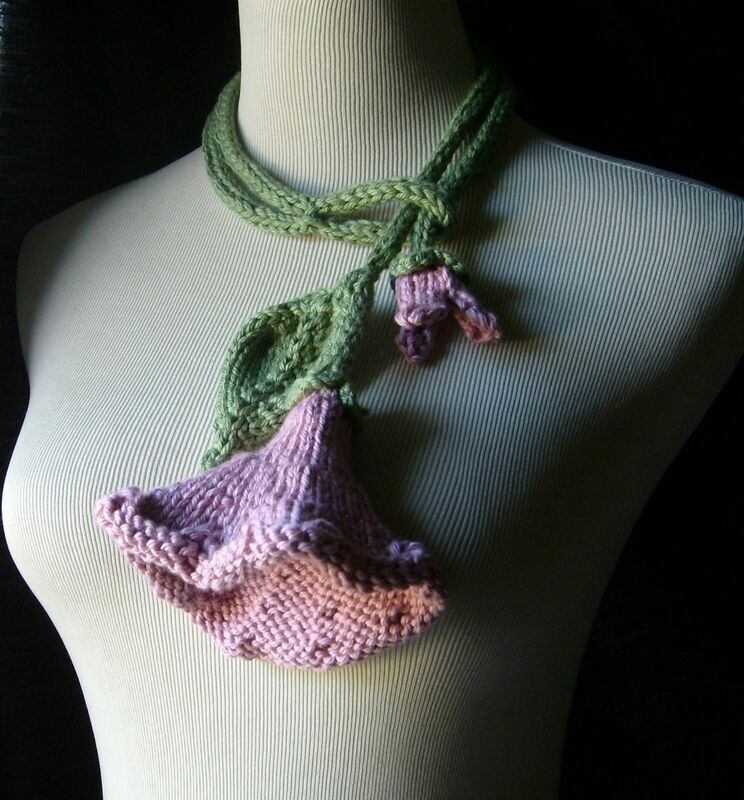 Bloom In Pink is an elegant addition to my floral necklace collection, hand knit from cool absorbent imported cotton yarn! Due to their ever increasing popularity, lariats are becoming a very smart choice for quick easy cool accessories for spring/summer wear. 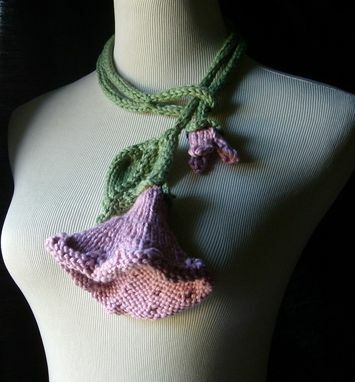 I had a wonderful time knitting this lariat, as the floral side of knitting in me continues to blossom! 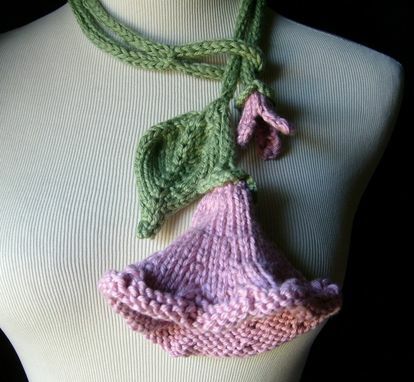 The pretty pink colored trumpet flower and knit leaf is affixed on one end and a single pink bud peeks out on the other end. The center of the vine portion has a convenient loop that the flowers slip through for fastening. 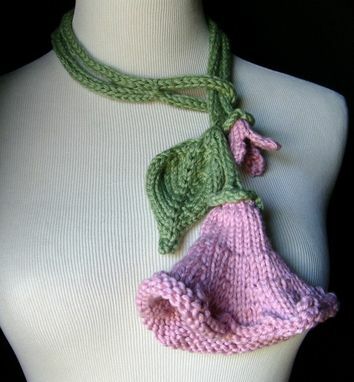 Because it is a very easy to wear piece, there are no worries about something itchy or hot around your neck! 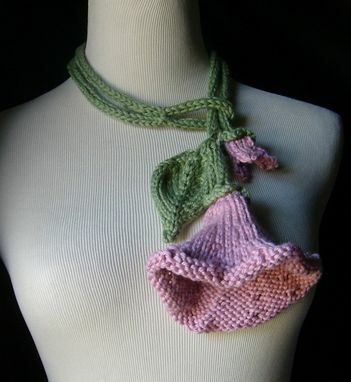 Just perfect for a pretty floral dress or any time when you want to feel gorgeously confident!